These beautiful Patriotic Eagle and Flag Resin Awards are the perfect awards fro any patriotic achievement! 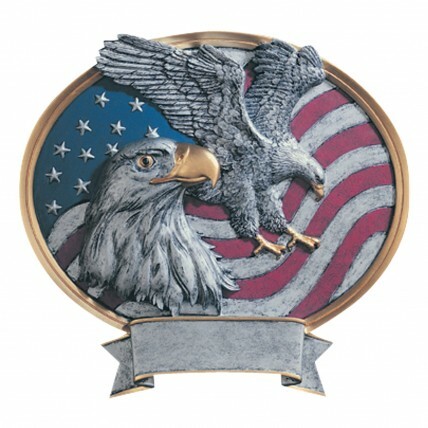 They feature pewter colored resin with red, blue and gold highlights and can stand on a flat surface or hang on a wall. Three lines of engraving is included in the price.